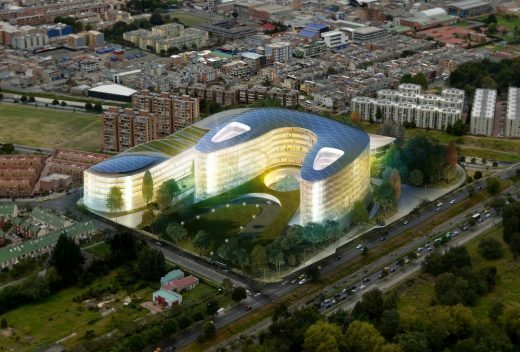 The Cancer Research and Treatment Centre, co-designed by Rafael de La-Hoz Arquitectos and the Colombian firm Construcciones Planificadas, is expected to launch in 2020 and will offer 230 hospital beds, a hotel for the families of the patients and its own research centre in a 100,000-square meters site. It will gather the most innovative techniques for cancer treatment and diagnosis, a centre to search for its cure and spaces specifically designed to make the much-needed family support easier. 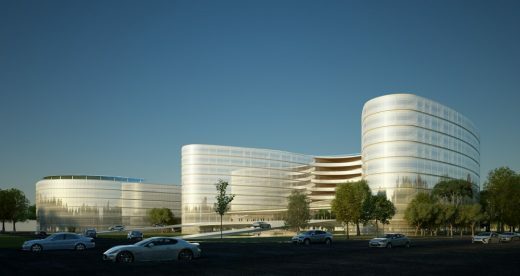 In 2014, another hospital built by the studio, the King Juan Carlos University Hospital in Móstoles (Madrid), received the International Award for ‘Architectural Quality in health buildings’, by the Spanish Hospital Architecture and Engineering Association (AADAIH) and the International Hospital Engineering Federation (IFHE). Rafael de La-Hoz Arquitectos is a multi-disciplinary architecture firm with a solid international footprint and headquartered in Madrid. Founded in 1920 and led by the prestigious architect Rafael de La-Hoz Castanys, the studio has an experienced team of architects and a portfolio of more than 500 projects in 20 countries. The firm is known for its exceptional architecture and its commitment to innovation, sustainability and excellence. 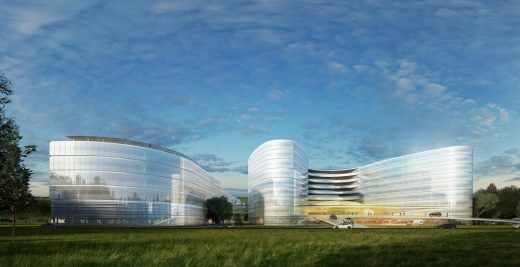 Among its projects, it is worth highlighting the King Juan Carlos University Hospital in Móstoles, the Repsol Campus and Telefónica’s District C.